ANNAPOLIS, MD / ACCESSWIRE / September 14, 2018 / Drs. Tom and Stephanie Chaney from Living Health Integrative Medicine are pleased to announce the launch of a new treatment program that focuses on cognitive decline reversal. In order for people to learn more about the unique program, and as a first step towards acceptance into the Cognitive Impairment Program, people are welcome to attend a free seminar hosted by Dr. Stephanie Chaney. To register for the seminar, or for more information, please call Jillian Gordon at 410-216-9180, email her at jgordon@mylivinghealth.com or visit http://www.getmybrainback.com/. As a spokesperson for Living Health Integrative Medicine noted, this new clinical approach to cognitive impairment was pioneered by UCLA researchers and has shown amazing progress in the reversal of mild cognitive impairment and stages 1-4 of Alzheimer's disease. "Dr. Steph's seminar will cover the five problems with current conventional treatments that progress the condition," the spokesperson noted, adding that other topics will include: The root cause of cognitive decline and Alzheimer's, Top 6 threats to the brain, The 5 different stages and 6 different types of Alzheimer's, Diagnosing the earlier stages and the common risk factors. "The Living Health cognitive decline program has been used on patients around the world with clinically validated results. This approach is supported and based on new research that shows healthy brain function can be reestablished." The fact that Living Health Integrative Medicine is launching a research-based, innovative and functional treatment program for people who are suffering from cognitive decline will not surprise the many patients who have received treatment at the medical office. Since the day Living Health Integrative Medicine first opened its doors, they have earned a well-deserved reputation for being a leader in holistic wellness, as well as using the latest research and science to guide their approaches to treatment. As leaders in integrative medicine, the Chaneys and the rest of the staff at Living Health Integrative Medicine strive to offer their patients the best care and results possible. 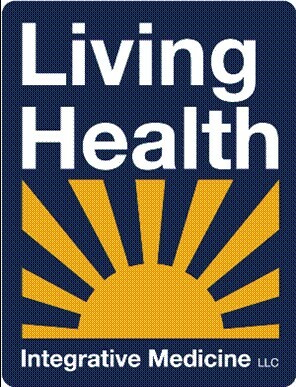 Living Health Integrative Medicine is a holistic, progressive medical office, located in Annapolis, MD. Their goal is to offer natural and conservative solutions to improving and maintaining health. The office continues to keep up-to-date with the most recent research and treatment protocols to stay on the cutting edge of healthcare. For more information, please visit https://www.mylivinghealth.com/.